How to Use Facebook for Effectively Marketing Your Business? Well, who doesn’t know about Facebook nowadays? Almost everyone is active on this social media platform starting from the teenagers to the oldies. So, if you are leading a business then won’t it be one of the fantastic medias to attract huge customers? Sounds affirmative, Right? Yes! You can use Facebook to skyrocket your sales, enhance your brand awareness, get higher Google ranking and what not!! Also, I came across a number of successful businesses over the time which touched the heights of success with fruitful Facebook Marketing. And, one of the prominent names that is coming to my mind now is CouponsMonk. This coupon-site enticed thousands of followers within a short period of time through such an astounding social media marketing. However, want to know how can a Facebook page exactly let you upgrade your business? Facebook can be one of the best ways to engage with your audience, thanks to the buzz that this social media platform bears. You ought to create posts while keeping in mind that some of the audience are the fans of your business, some are fans of your content, some current customers, former customers and the list goes on. So, your posts should engage all such groups of people. Facebook lets businesses to advertise themselves strategically. So, if you are owning a business then you can place your ads in the right columns and in the news feeds. You just have to link your ad to the Facebook page so that it gets displayed in the news feed. On doing so, your targeted audience will not only have an opportunity to know about the advertisement objective but also they will like your Facebook page. B2C organizations like Apple, eBay, Amazon, uHaul, etc… get the most out of this feature. They use graphics to entice the users to click on and drive them direct to sales funnel. To run any business successfully it is quite necessary to know what is the expectation of your customers from you?And, one of the best ways to do that is to survey them on Facebook. This kind of survey will encourage them to engage with your page and let you understand the type of services or products that they want from you. And, thus you would be able to upgrade your business accordingly. If you are ready to pay just a nominal flat rate to Facebook then it would let you showcase your individual Facebook posts to specific numbers of users while enhancing the reach and impressions of such Facebook posts to a great extent. Also, promoted posts are very easy to set up. You just have to click the button which is present just beneath any one of your page posts. The Facebook Exchange is something which is worth mentioning about when it is all about the role of Facebook marketing in upgrading business. It lets the advertisers of any business relish the perk of retargeting on Facebook through the means of real-time bidding. You would be able to target the audiences depending upon the data present in web-history. So, if you notice that a user has visited any of your specific product pages but was not able to make a purchase then you can display an ad for the same product on Facebook through FBX later on. So, I hope now you are having a proper answer to the question ‘How can Facebook let your business to flourish?’. Then, what are you waiting for? Just hire a couple of professional social media marketers for your business and no doubt you will see the same climbing the steps of success like never before. Arina Thoggy is an expert small business consultant, free time writer and full-time internet surfer. She likes to work on making in-home life better in society. She lives like an entrepreneur to support her husband at the month ends. SpotCommerce v1.2.8 is Ultimate Blogger Shopping Template available on GuidePedia for free download. 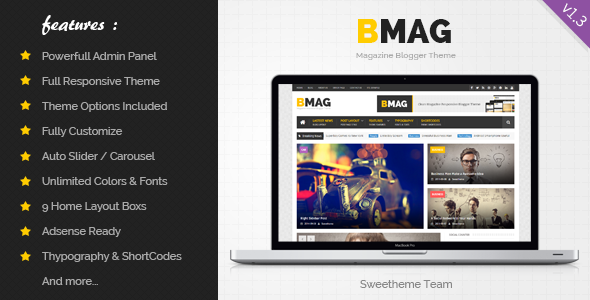 It is extremely easy to customize, easy to use and fully responsive. Suitable for every small shopping site, showroom and portfolio also. Great as a starting point for your small business. SpotCommerce v1.2.8 is available for free download with Purchase Code. Input XMAS25 or NEWY for testing our coupon codes for SpotCommerce v1.2.8. 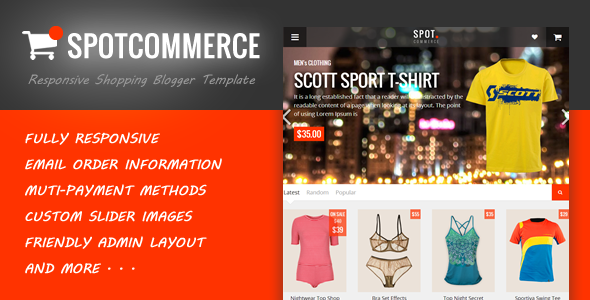 These are the main features of SpotCommerce v1.2.8 Blogger Shopping Template. 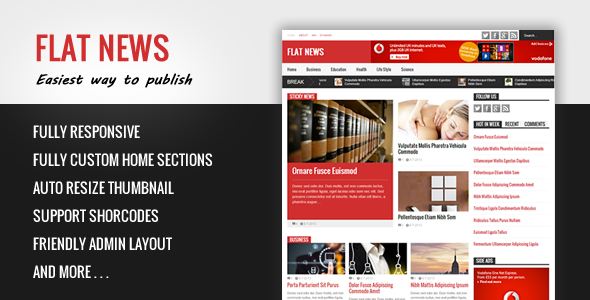 Flat News v2.6.5 is a news and magazine Blogger template Free Download. This template is very easy to work without touch to code. Flat News is 100% responsive and drag-drop to build your own home design. English For Science is designed for academically oriented students to provide language skill practice needed for effective participation in basic science course.